Today our Biotechnology students learned how to extract DNA from strawberries, using household products like dish detergent and rubbing alcohol! Check out all the cool photos from the activity here on Flickr. Welcome to the NSLC at UC-Berkeley! 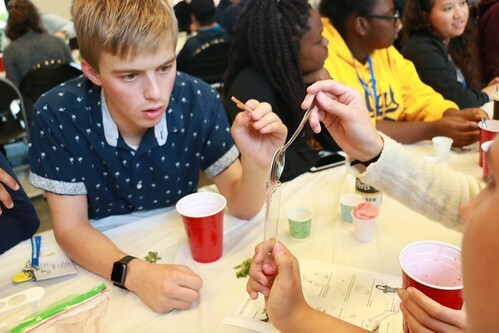 Follow us here for updates on all the exciting activities we have planned for our UC-Berkeley programs this summer. To track upcoming events, please use the Program Schedules menu below. Make sure to follow us on twitter!